30 years of experience in boiler replacement, boiler installation, boiler installers, boiler fitters, boiler repairs and boiler servicing. Our gas boiler installations and gas boiler replacements come with a minimum 7 years guarantee. 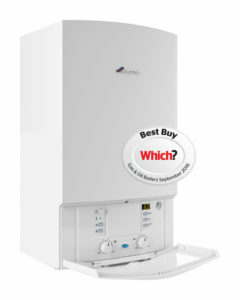 We only install high quality, energy saving gas boiler replacements. Worcester Bosch, Ideal Boilers, Alpha, Ferroli, Potterton, Vokera, Baxi, Vaillant, Gloworm, Chaffoteaux, Viessmann and others. If it is a new boiler or change of boiler that you are looking for, then The Plumber ABS are your central heating boiler experts. 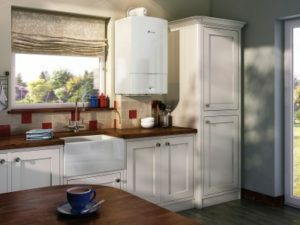 We can install a new, super efficient boiler for you in your home or business; upgrading your old, tired existing boiler and replacing it with something so much better. The Plumber ABS are specialists in boiler repairs. We have gained a vast knowledge and experience repairing installing and fitting boilers and central heating systems. See the latest blog post about saving on your energy bills. Why should anyone replace a functioning boiler? Up until recently it would not have been worth the expense of replacing a boiler. But now, because of the price of gas, it often is. We not only replace your boiler, we chemically power flush the system. This removes the sludge and debris, which has taken years to build up. This will improve the heat output from the radiators and help the efficiency of the system. A new good quality condensing boiler will use a lot less gas and be environmentally friendly. When the boiler is replaced it is usually a good time to add good quality thermostatic valves to all radiators. Also to replace the old controls with a modern programmer and programmable room thermostats. So replacing a boiler is a lot more than just taking the old boiler out and putting a new one in its place. Depending on the type of system already there, we can save the customer sometimes in excess of 60% in gas consumption. We only install top quality products. Installing cheaper boilers and controls would not achieve the level of reliability and longevity that our customers get. We keep up to date with the latest controls that are available and are approved installers for the Nest learning thermostats. With over 30 years of experience and hundreds of satisfied customers, we feel we always give the best customer service and satisfaction. We provide free estimates and are always happy to answer any questions or queries. So for good old fashioned service from a truly experienced plumbing and heating company, look no further. West London and Surrey Plumber, The Plumber ABS, serve the Camberley, Farnborough, Aldershot, Farnham, Staines, Bracknell, Ascot, Virginia Water, Woking, Richmond, Twickenham, Walton-on-Thames, Weybridge, Chertsey, Chiswick, Ealing and West Drayton areas. With a wide knowledge and experience of both modern and old types of plumbing, heating systems and boilers installed around West London and Surrey.